By Rajesh Raman / Vice President at MetricStream Rajesh is responsible for Zaplet, an Enterprise GRC Platform-as-a-Service (PaaS) business unit. Rajesh is a seasoned senior software executive with extensive experience in leading products and technology in Security, Networking and Cloud domains. Previously Rajesh worked at Cisco, where he led the development of a number of innovative and pioneering products, including Cisco’s award winning Identity & Policy based Secure Access & Mobility product, Identity Services Engine (ISE), and the Application-Oriented Networking (AON) products. 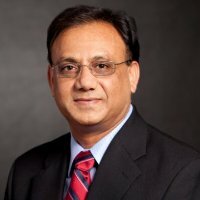 Prior to that Rajesh worked in leadership roles at companies such Oblix, BEA Systems (both acquired by Oracle) and Lotus/IBM.